Bright finish Pvc Boot with synthetic wool inner lining and rear patched piece in technical waterproof material with horizontal quilting. 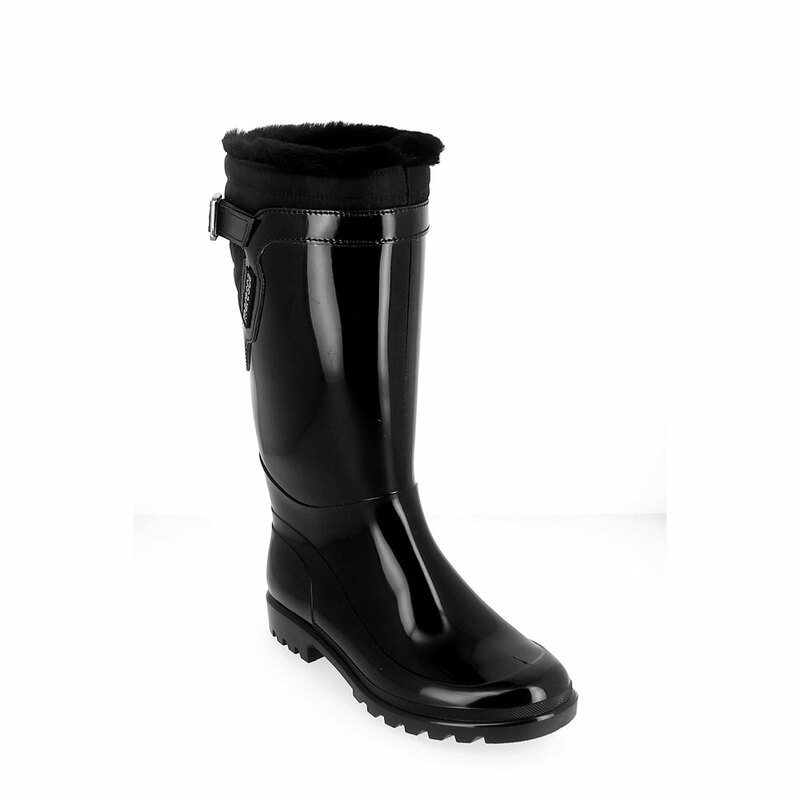 The boot is equipped with a patent leather rear strap with metal buckle and the upper edge is finished by a soft faux fur in black colour. A Maresca logo is applied on the bootleg by the new "3D lettering" technique to give to the boot a finer look. Made in Italy. Available Colour for orders: Black Size run: 35-41.